As a collector, have you ever wanted to attend a live event, but it was too far away, logistically challenging or too expensive to attend, or the timing just wasn’t good for you? Well, those issues soon just might be a thing of the past, according to our special guest today, Rachel Hoffman. Rachel runs the Virtual Doll Convention, a multi-day celebration created exclusively – and inclusively – for doll enthusiasts around the world. The convention includes all the traditional elements of an in-person, national convention – including top-tier speakers, workshops, seminars, tours, shopping, and social activities – but is held entirely online, through Facebook. Her first event, held in January, 2019 attracted over 800 attendees representing over 90 countries. Her next Virtual Doll Convention, The Art Of The Doll In All Its Creation, is scheduled for June 19th-23rd, 2019. For more information on this can’t miss celebration, please click here. Let’s learn more about Rachel, her Virtual Doll Convention, and her cutting edge strategies that just may revolutionize the way collectors meet, interact, shop, and build communities worldwide. Rachel Hoffman producing online content onsite. Worthpoint: Tell us a little bit about yourself. Rachel Hoffman: My name is Rachel Hoffman and I grew up in Colorado. I spent my childhood days in my mother’s doll shop and eventually took an active role working there when I was fifteen. Over the years, I worked other jobs, graduated college, and became an accredited personal property appraiser with the International Society of Appraisers. I also hold a certificate in jewelry studies from the International School of Gemology. The doll world was always the most interesting for me, and I decided I was ‘all in’ with the doll business in 2015. Worthpoint: Tell us about your personal approach to collecting. Rachel Hoffman: I do not have an extensive doll collection in my home, but I do have a large one in my heart. When I acquire a doll to sell in my shop, it is very much like ‘adding it to my collection’ for a time. I get to know it and bond with it. That makes the selling process so much sweeter sometimes because I can truly advocate and represent the doll in the sincerest way. When I sell it to a wonderful home, it makes me feel happy because I truly care for the doll. This process for me is how I have collected over the years. My collection is ephemeral, but I still think about dolls that I handled a decade ago and smile. 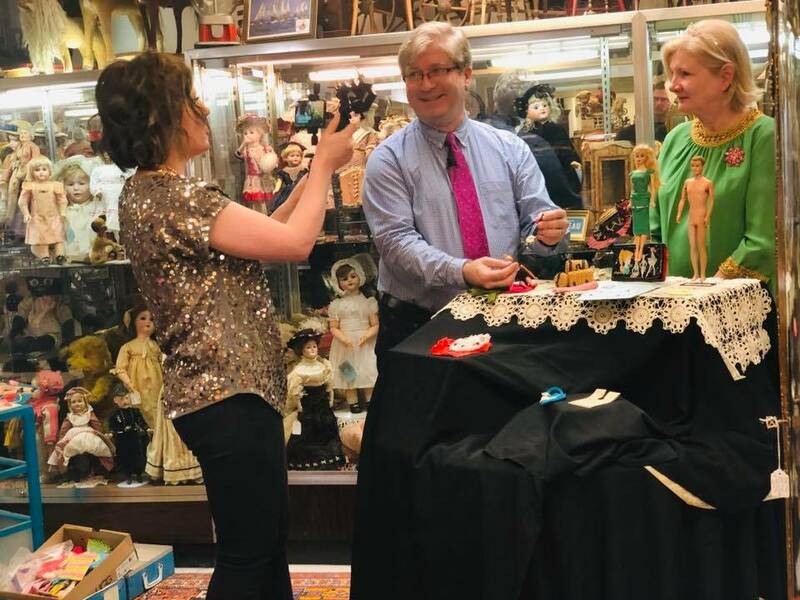 Rachel Hoffman, Barbie and Mattel expert Bradley Justice, and TV appraiser Billye Harris filming a segment for the January 2019 Virtual Doll Convention. Worthpoint: Tell us about the Virtual Doll Convention and how you came up with the idea for it. Rachel Hoffman: I had been working in the virtual realm for many years – broadcasting doll related content to people who could not be at a collector’s event in person – and had gained a lot of momentum doing so. I was thinking about my work and how I could pull it together into one immersive, total package. I wanted to create and produce an entire online experience from top to bottom with all the trimmings that one enjoys at an in-person doll event. On November 29th, 2018, I was driving to my brother’s birthday dinner, and I remember ideas for a virtual doll “Coming Together” swirling in my head. I was thinking of what doll collectors needed – where there was a void. I was thinking about many of my customers who can no longer attend events but who still wanted to. I remember being at the dinner and announcing to my family that I was going to have a Virtual Doll Convention in January 2019. I stayed up the entire night crafting my plan and worked on it nonstop over that weekend. I launched it three days later. I remember my heart racing when I debuted the idea and then saying to myself that “…even if I only had ten people to sign up, those ten people would have the best experience I could deliver.” We had over 800 attendees at the first Virtual Doll Convention. It occurred five weeks from the concept to the event. I still look back and wonder how I pulled it off! Worthpoint: Tell us the distinct elements of the VDC, and what is the role of each in the attendee’s experience. Rachel Hoffman: I work hard to maintain a complete package within the Virtual Doll Convention experience. These conventions are hosted on Facebook because it is accessible, keeps costs down, is easy to use, and the platform facilitates an incredible amount of community. It was important to me that nothing was left out of the debut Virtual Doll Convention. I thought of all the elements that a typical doll event includes, and figured out a way to incorporate each one. These components include a virtual banquet, salesroom, souvenirs, outside experts giving programs, workshops, and special exhibits, among others. What is entirely distinct about our programming is that it is made specifically for convention attendees in terms of content and presentation style. Presenters make eye contact with attendees through the camera and interact with them directly as if everyone were in the same room. I have had attendees tell me that they felt so close to the experience that they tried to reach out and touch a doll through their screen because, for a moment, they thought they were actually in front of it. I loved hearing this! The roles of the attendees include participating in the camaraderie of the event, sharing their collections, engaging in the videos if they want to, and ultimately discovering new friends through the shared experience. 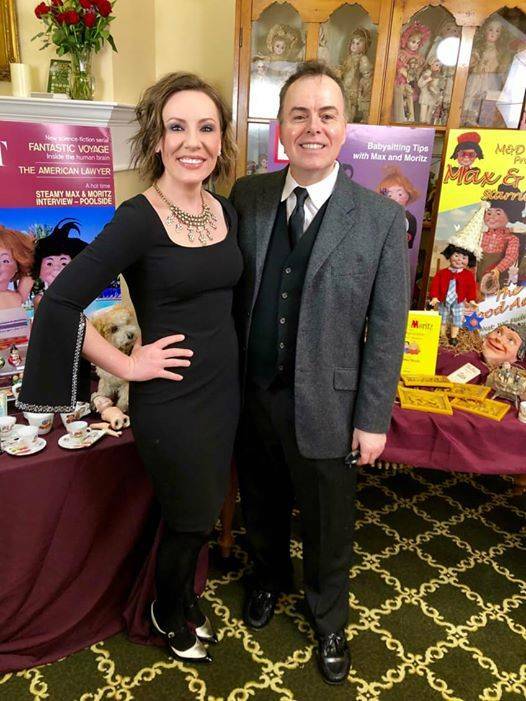 Rachel Hoffman and Michael Canadas of the Carmel Doll Shop and The Grovian Doll Museum filming a segment for the January 2019 Virtual Doll Convention. Worthpoint: In your opinion, what (if anything) is not possible to “replicate” in terms of holding a convention online vs. holding one in person at a physical venue? Rachel Hoffman: I’ve thought about this question a lot. Aside from the obvious aspect of actually being in the room, I think the options are endless for the Virtual Doll Convention. I can’t think of any element from a traditional event that we couldn’t somehow modify to make accessible online. There were parts of the first convention, like the banquet and the salesroom, that I wasn’t sure would go over well in a virtual setting… but I had to try. Everything eventually ended up being almost flawless. and you can imagine how relieved I was about that. My plan is to keep trying new things, see what happens, and just be fearless about it. For example, I am thrilled that our upcoming June event will offer digital sculpting and painting classes given by the world-famous doll artist Helen Kish. This has never been done before, and would not have been possible even a year or two ago. Worthpoint: Tell us about who attends the Virtual Doll Convention, and can you give us some statistics on them? Rachel Hoffman: Doll collectors of every genre and from 95 countries – and counting – have registered or attended a Virtual Doll Convention. I am constantly running the statistics and metrics on the Virtual Doll Collector’s website. Its reach, scope, and scale is positively amazing to me. I strive to keep my online events extremely inclusive as far as content, and accessible in terms of price. I want there to be a something for everyone, but my ultimate goal is to make the programming so fun and entertaining that no matter where your interest lies, you will watch and appreciate all the videos. For example, I have had a ton of feedback from bear collectors who said they loved the Barbie programming. 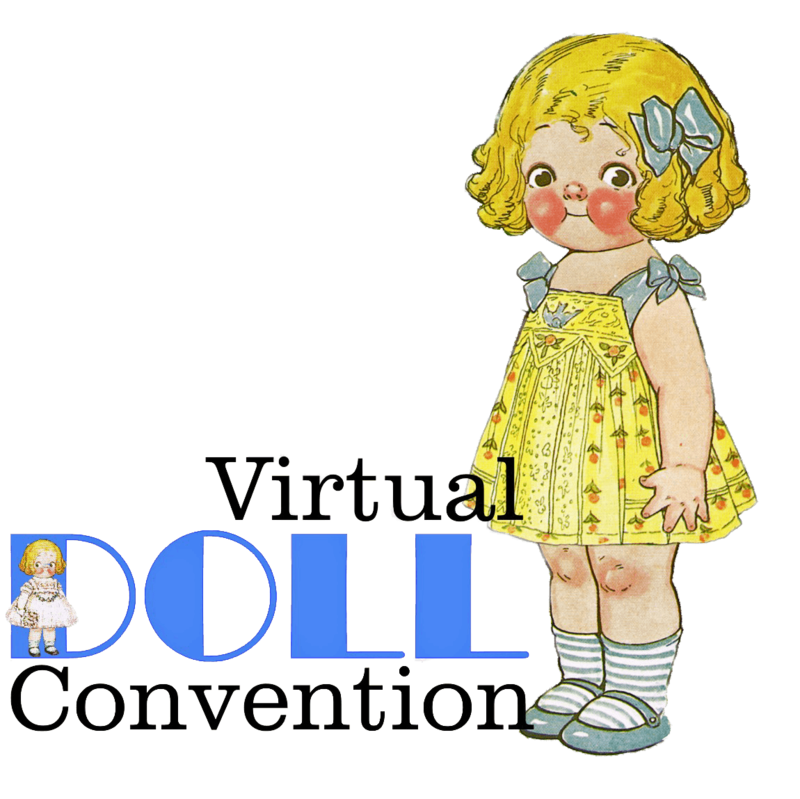 Worthpoint: Why should a doll or bear collector attend the Virtual Doll Convention? Rachel Hoffman: Collectors by nature are inquisitive and love learning. The Virtual Doll Convention is a platform where everyone can feel a sense of belonging and enjoy a tremendous amount of content on their own turf and timeline. The convention videos stay up for many months post event so attendees can relive and enjoy them as much as they want. Also, collectors love to shop! I select only the finest doll and bear dealers to participate in the virtual salesroom. These dealers curate their finest – often exclusive – inventories for the event. Worthpoint: Do you know of other collecting specialties that also hold an event online on the scale of the Virtual Doll Convention? Rachel Hoffman: I have seen some online conventions in the miniature collecting communities, but I haven’t seen anything as completely immersive and diverse as the model of the Virtual Doll Convention. 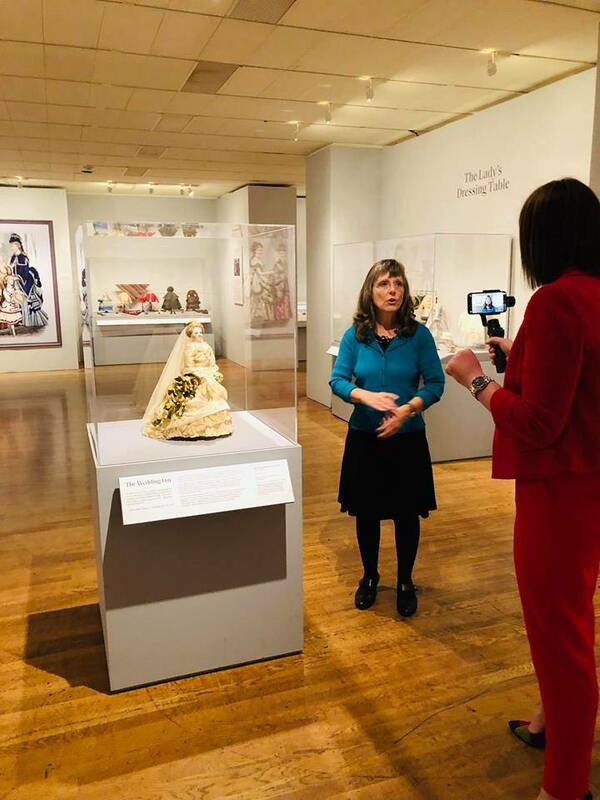 Rachel Hoffman filming a segment at the Philadelphia Museum of Art for the June 2019 Virtual Doll Convention. Worthpoint: Tell us about the programming offered through the Virtual Doll Convention. Rachel Hoffman: Our presenters are internationally recognized doll experts and educators at the top of their game. As a group, they all recognize the potential and reach of this virtual convention concept. In terms of selecting speakers, I consider their specialties, reputations, and past contributions. I count on long term friends and colleagues and always work with people who share the same vision I do for the future of our hobby. The content for the Virtual Doll Convention is captured in a number of ways. Between now and the June 2019 event, I will be traveling the world prerecording exclusive content that will debut at this summer’s Virtual Doll Convention. During the actual event, there are live, sometimes spontaneous broadcasts; these are fun and authentic ways to enjoy the programming. Much of the live programming depends on available Wi-Fi and cellular connections, so I do a lot of testing. About 80% of a convention’s content is pre-recorded in high definition to guarantee its picture and sound quality. Worthpoint: Operationally, has anything ever really gone sideways in terms of preparing for, or during a Virtual Doll Convention event? Rachel Hoffman: Thankfully, not yet. I work hard to stay organized and keep everyone involved on task. I am blessed to work with professionals who are always on time and deliver quality work. The attendees have been amazing in the sense that they know they are experiencing this for the first time with me and they have been incredibly flexible and understanding with any small, unanticipated hiccups that have arisen during the convention. And transparent communications have made this whole experience really effective. If I have had to change the pace of something or re-route the direction of one of the aspects of the convention, I explain what is happening and why. The attendees have been entirely understanding and helpful. Communication is key in everything, but I would say especially in virtual settings. If more than one person asks about something, I will usually share the answer with the whole group. Worthpoint: Today, what is the role of social media in developing, educating, and energizing collector’s communities? 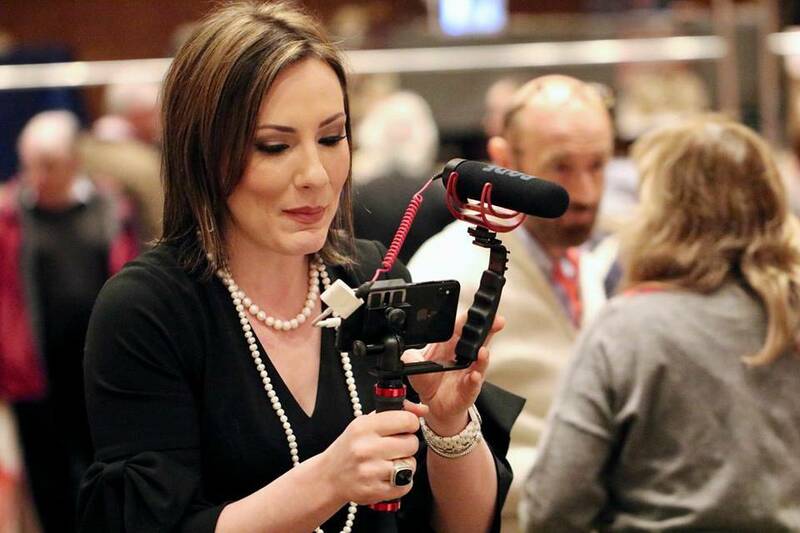 Rachel Hoffman: Social media is no longer a “nice to have” tool. It has become an essential aspect of marketing a business or growing a community. When used in the right ways, it can revolutionize almost anything, especially collector’s communities. Collecting and storytelling go hand in hand. Collectors want to hear from other collectors and especially enjoy the camaraderie. No one likes to feel that they are alone in their interests – especially if they are limited by geography or their physical mobility – and social media channels are a great way to build connections. Personally, I find it thrilling when doll collectors in Russia are actively engaging with like-minded collectors in California – literally building universal bridges. Through Facebook translation, they can talk and learn and interact without issues. It’s a fantastic opportunity to connect every single day. Worthpoint: And finally, what will the Virtual Doll Convention look like 5 years from now? Rachel Hoffman: I hope to run at least 2 or 3 virtual conventions a year, with thousands of global attendees at each. As I expand, I will make sure to keep the culture, and accessibility the same – inclusive of all collectors, no matter their circumstance, finances, or location. I will never separate tables because everyone is welcome at my table. I hope to continue combining multiple facts of collecting – from antique to vintage to modern to artist – in one complementary group with a central theme. That way we can learn about other parts of the world and make friends and experiences to last a lifetime. Rebekah Kaufman is a Worthologist who specializes in vintage Steiff and other European plush collectibles. You can follow her blog, which focuses on vintage Steiff finds, Steiff antiquing and travel adventures, international Steiff happenings, and the legacy and history of the Steiff company at http://mysteifflife.blogspot.com. Sign up for her Steiff newsletter by contacting her directly at steifflife@gmail.com. Collecting Antique Dolls ….How Do I Start? Wax Dolls…Poured, Reinforced or Wax Over?